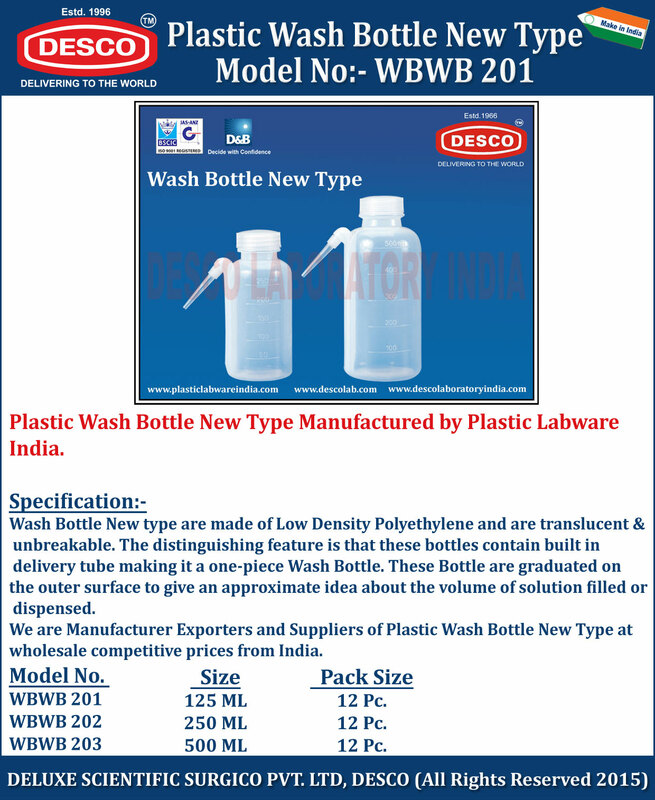 Wash Bottle New type are made of Low Density Polyethylene and are translucent & unbreakable. The distinguishing feature is that these bottles contain built in delivery tube making it a one-piece Wash Bottle. These Bottle are graduated on the outer surface to give an approximate idea about the volume of solution filled or dispensed. We are Manufacturer Exporters and Suppliers of Plastic Wash Bottle New Type at wholesale competitive prices from India. WBWB 201 125 ML 12 Pc. WBWB 202 250 ML 12 Pc. WBWB 203 500 ML 12 Pc.